Do you remember lying on your back on the grass and looking at the clouds – finding the shapes, marveling at all the differences? The types, the colors? Looking through old family slides and photos I discovered my father took a lot of pictures of clouds – as do I, my brother and my daughter. There is just something endlessly fascinating about them. 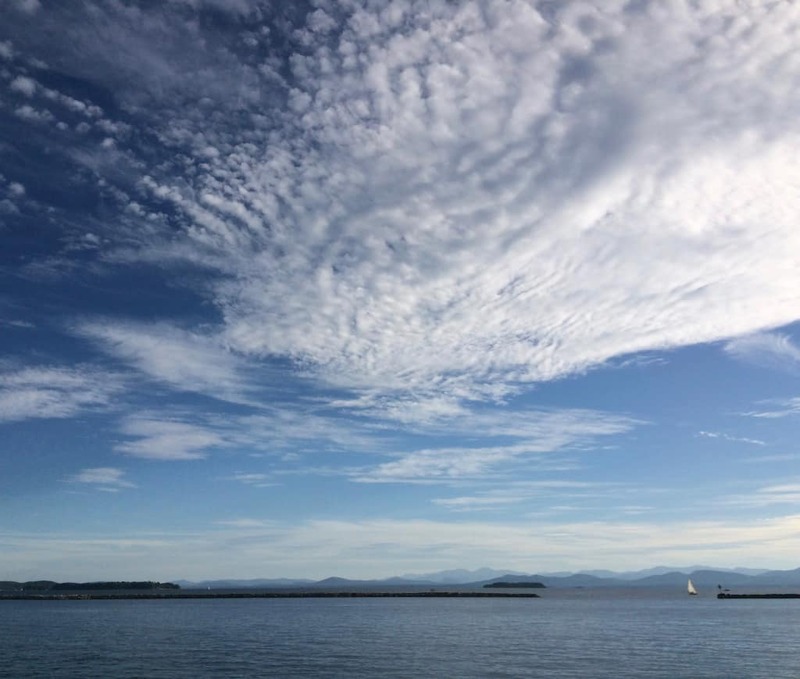 An example of how far back clouds appear in literature, back in the fifth-century, the playwright Aristophanes, “cast a chorus of clouds as the source of ‘airy’ thinking. (pg 7, Clouds). Indeed, there are many sayings about clouds: “head in the clouds,” “nebulous,” “foggy,” and “cloud the issue.” Richard Hamblyn, author of Clouds, wonders if the saying “on cloud nine” might come from a story from the early life of Buddha. 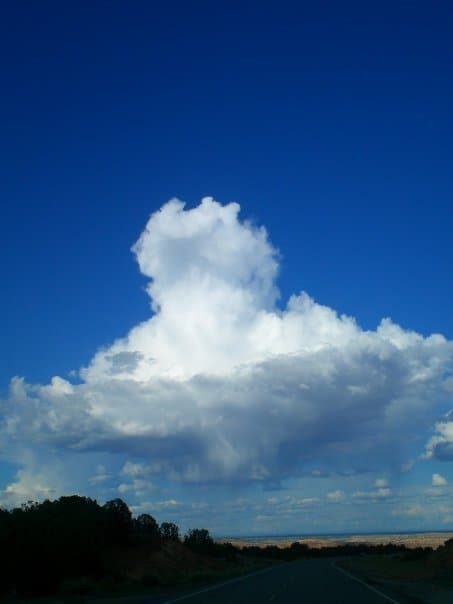 The story is that Buddha summoned a small cloud which ferried him over the Ganges, and “the Buddhist cosmology contains a tenfold cloud taxonomy whose stages mirror the tenfold ascent to enlightenment.” The 9th step is “the great bright clouds of refuge,” hence (perhaps) being on cloud nine! There are also frescoes and paintings as clouds from as far back as the 1200s. 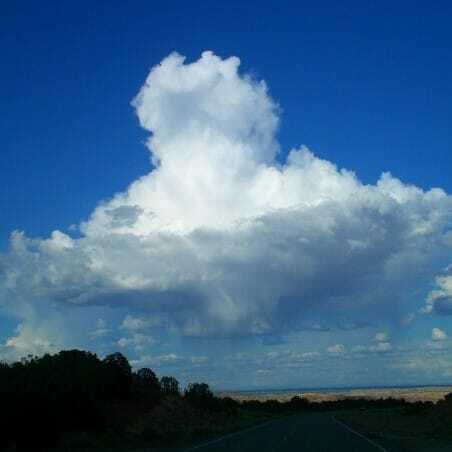 The fascination with clouds has a long history! From the early days of photography, photos have been taken of clouds and storms. We may be used to taking cloud photos with our DSLR cameras, or our phones, but the technology in those early days made taking good photos very difficult. It took minutes, not seconds, to take a photo using the photographic plates, and those minutes often made the sky overexposed. One solution, used by many photographers, was to take extra, under-exposed photos and superimpose them over the overexposed plate. Superimposing one photo over another can be used in digital photo editing programs – there has been some controversy concerning the use – and overuse – of digitally edited photos. However, that practice has been going on a long time! Talking about clouds and photography wouldn’t be complete with touching on clouds and storms in movies and videos. While we are talking tornadoes (see photo at left! 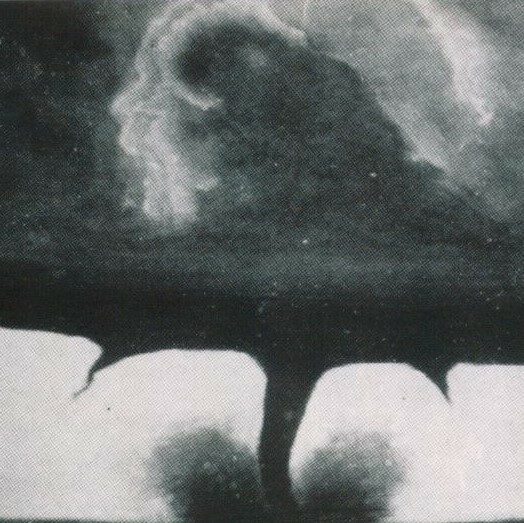 ), the famous tornado in The Wizard of Oz was constructed from a muslin wind-sock which was suspended from a metal gantry. It is still considered to be one of the most convincing tornadoes in Hollywood history! Musicians and songwriters have long gotten their inspiration from clouds. Here’s a (very) short list (in no particular order)! If you are someone who goes around with your “head in the clouds” most of the time there is The Cloud Appreciation Society. Really! It now has over 40,00 members from nearly 120 countries! The society has recently teamed with NASA and have a Cloudspotter app. The information gathered submitted by the app users (from around the globe) will be used by NASA to help calibrate their CERES cloud-observing satellite instruments! You can continue to look up to the skies and help NASA at the same time! 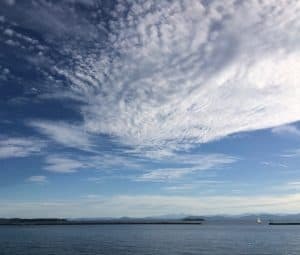 If signing up with the Cloudspotter app isn’t your thing, but you still want to know which clouds are which and what differentiates one cloud from another, The Cloud Book : How to Understand the Skies, has a wealth of information about clouds accompanied by stunning, full-color photographs of each type of cloud. 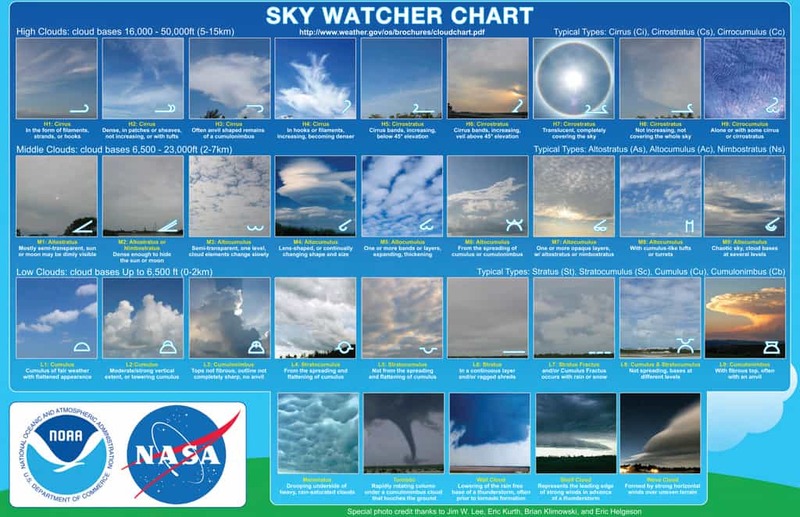 Here’s a Sky Watcher Chart. Go out – look up! How many different types of clouds can you see? CloudSpotter : Your virtual guide to the wonders of the sky. The Cloud Appreciation Society. Date accessed: June 14, 2018. Hamblyn, Richard. 2008. The cloud book : how to understand the skies. Cincinnati, Ohio : D&C David & Charles : In association with the Met Office. Engineering Library QC921 .H348 2008. I am, obviously, not talking about the vast field of cloud computing – that is beyond the scope of this blog. However, if you’d like more information about cloud computing, check the resources below!